Weekend Humor isn’t supposed to be taken seriously. So don’t. It was a report that left the Leica-toting section of the photography world flabbergasted. DxOMark, the website known for its endless camera testing that serve no practical purpose, recently declared that “the Leica M9, M9-P, and ME Type 220…offer some of the worst image quality” on a full-frame sensor. They were three hairs short of saying, “Leica’s latest cameras are full of poopy.” That article was published on March 6. Eight days later, DxOMark released a statement in which the article’s author apologized for his remarks. Leica doesn’t take criticism lightly, and they made sure DxOMark understood that. Head on past the break for a tale of intrigue, vengeance, and one lone writer who was willing to stand up to a company full of Germans in this exclusive report obtained by us here at The Phoblographer. It was in late 2009 when a Leica M9 arrived in the offices of DxOMark. 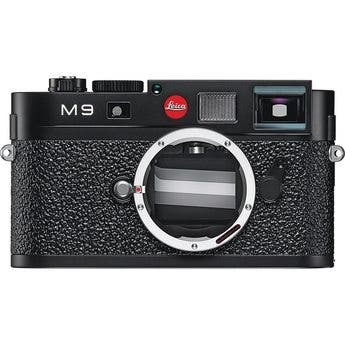 Ah, the M9, Leica’s latest entry into the digital rangefinder arena. The folks at DxOMark were understandably excited. They had an M9 to call their own, a camera forged from unicorn bone in the depths of Mt. Doom, and they didn’t have to send it back to Leica. It was theirs to keep, but that came with a condition: a perfect score in all categories. DxOMark approached the M9 review with a certain degree of apprehension. They wanted to be honest, but they didn’t want to be made into wiener schnitzel, a practice Leica is rumored to have executed on other sites that were ballsy enough to publish unfavorable reviews. DxOMark had a reputation to uphold, but they really didn’t want to die. And so, the tests began. To date, no one knows what tests DxOMark actually conducts, and no one knows if they even have anything to do with photography. Besides, who needs to shoot at ISO 100,000? When the time came to publish the review, Gaston Alfonse, the Editor-in-Chief of DxOMark, was drenched with sweat. The note Max Tomlin affixed to his review of the M9 read, “This thing is full of poopy.” Alfonse trusted Max as he was DxOMark’s ace reviewer. It also helped that he had balls of steel. Even though the rumors were never corroborated, Alfonse was scared of becoming wiener schnitzel, but he felt safe because he lived with his mother at the time. The M9 review was published. Nothing happened for a few days, but then one of DxOMark’s interns disappeared. The intern was just some punk kid looking for some college credit, but the reason for his disappearance was never fully determined. The same thing happened again for the M9-P and the ME Type 220 reviews. Each time an intern disappeared. According to a statement released by Interpol, Leica sent its muscle, known only by the mononym Bruno, to DxOMark’s office in Paris. He is a 6′ 9″ Austrian-born MMA fighter with a fondness for unicorns and Leica cameras. On the day he arrived at DxOMark, Bruno had no weapons on his person, only a set of brass knuckles with four small Leica logos on each hand. He broke down the door and demanded that Gaston come forward. With fear clogging his pores, Gaston stepped towards Bruno who knocked him out with a right hook to his cheek. The punch was so powerful that the Leica logos from the brass knuckles are a permanent part of his face. DxOMark declined a request for comment. During the Bruno incident, a DxOMark staffer took a short video clip of Bruno mindlessly muttering “Leica”, looped it, and uploaded it to YouTube under the title “leica bruno ten hours”. The M 240 is expected to sell like hot cakes because “it’s the bestest camera”.